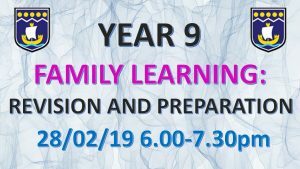 On Thursday 28 February from 6.00 – 7.30pm, a Year 9 Exam Preparation Family Learning Session will take place at The Roseland Academy. The focus of this session will be to increase the impact and maintain students’ well-being, happiness and academic success, together with their families. These events would not be effective without the enthusiastic and supportive engagement from the families within our Roseland community. 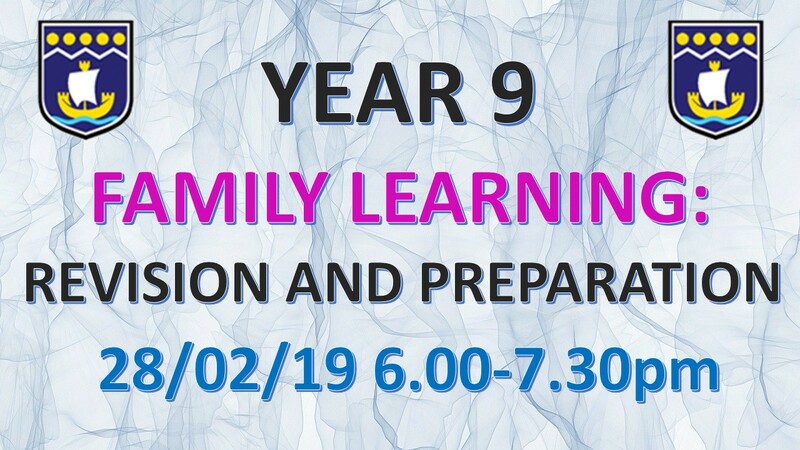 Year 9 students are now preparing for Key Stage 4, and in anticipation of this, we would like to invite you to an evening explaining how we can support you and your son/daughter in the lead up to their Assessments Week that will take place in March. Year 9 Assessment Week will enable the students to sample GCSE/BTEC qualifications through specific assessment tasks linked to their learning throughout the Year 9 curriculum.